CHICAGO (Jan. 29, 2019) –Pipeline Health, a successful community‐based hospital ownership and management company headquartered in Los Angeles, announced today that it has completed the acquisition of West Suburban Medical Center, Louis A. Weiss Memorial Hospital and Westlake Hospital from Tenet Healthcare. This is the company’s first acquisition in the Chicago area. Pipeline Health is proud to partner with Dr. Eric Whitaker, a public healthcare advocate and long‐time Chicago resident, on the acquisition. “Pipeline Health has a proven model for saving and sustaining smaller hospitals that are cornerstones of the communities we serve. We share Dr. Whitaker’s commitment to improving healthcare through innovation and building relationships with patients, physicians and local leaders,” said Jim Edwards, CEO of Pipeline Health. 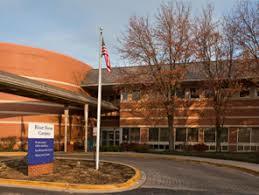 The Chicago‐area hospitals joining the Pipeline Health network of community‐care facilities in Los Angeles and Dallas include: West Suburban Medical Center, a 234‐bed facility in Oak Park; Weiss Memorial, a 236‐bed hospital on Chicago’s Northside; and Westlake, a 230‐bed hospital in Melrose Park. 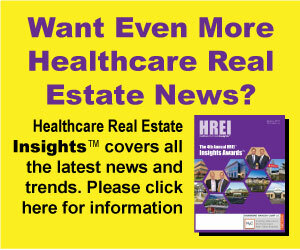 “The rapidly changing healthcare environment has left many community hospitals struggling financially. Pipeline Health has a track record of success by rethinking how healthcare is delivered at the right time, in the right place, for the right cost. This allows communities to maintain high quality care close to home,” said Dr. Whitaker, who is joining Pipeline Health as a principal and vice chair in Chicago. Pipeline Health creates healthcare facilities that are not only beneficial for patients, but for physicians and other caregivers who work there. “We view physicians as partners and hope to retain and attract those looking to care for patients in a high quality yet very efficient, personal and friendly setting. We feel our personalized approach will appeal to many physicians practicing in the Chicago area,” said Dr. Mark Bell, president, Pipeline Health. Cantor Fitzgerald & Co. served as Pipeline Health’s financial advisor for the transaction, with Duane Morris LLP providing legal counsel. For more information, visit Pipelinehealth.us. Pipeline Health is a privately‐held, community‐based hospital ownership and management company based in Los Angeles. The principals of Pipeline Health have more than 250 years of collective experience in clinical medicine, finance, hospital operations and acquisitions, and successfully manage several thriving community‐based hospitals in Southern California and one in Dallas. The hospital management group is committed to personalized care, reflective of the communities they serve. For more information visit Pipelinehealth.us.